TOKYO -- Honda Motor Co. reported fourth-quarter profit that missed analysts' estimates, after Japan vehicle sales dropped and last month's record earthquake disrupted output. The automaker said net income plunged 38 percent to 44.5 billion yen ($545 million) for the three months ended March 31, lower than the 93.8 billion yen average of analysts' estimates compiled by Bloomberg. Sales fell 2.9 percent to 2.2 trillion yen. Honda and rival Japanese carmakers are working to restore full operations after last month's earthquake and tsunami damaged parts factories and power plants, causing shortages of components and electricity. Honda said earlier this week it expects its global output to return to normal levels by the end of the year. "Even if production comes back, sales may not," said Yuuki Sakurai, president at Fukoku Capital Management Inc. in Tokyo. "May sales, June sales may be close to zero as the companies won't have much to sell." Honda declined to provide a full-year earnings forecast citing the impact of the natural disaster on production. 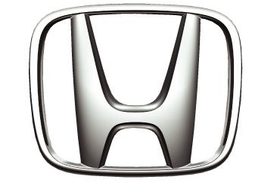 Honda's global vehicle sales dropped 1.6 percent to 860,000 in the three months ended March 31. The drop was led by a 22 percent decline in Japan. Sales in North America rose 7.9 percent to 356,000 and in Asia, excluding Japan, deliveries rose 0.4 percent to 238,000. The automaker's March output in Japan plunged 63 percent to 34,754 vehicles, it said earlier this week. A government subsidy program for car purchases boosted sales a year earlier. The company's output of cars and parts in Japan will remain at 50 percent of regular capacity until the end of June. "We are in the situation where our supply is short when demand for cars is increasing globally," said Fumihiko Ike, Honda's managing director. Honda said the earthquake cost the company 45.7 billion yen in the year ended March. For the full year, net income almost doubled to 534 billion yen, while sales gained 4.2 percent to 8.94 trillion yen, the company said. Toyota Motor Corp. also estimates production will remain below normal levels until November or December. The company may lose output of 300,000 vehicles in Japan and 100,000 overseas through the end of April due to quake-related shutdowns, Executive Vice President Atsushi Niimi said last week. The company is unlikely to meet its full-year global production target of 7.7 million vehicles, he said. About 150 parts, mostly materials such as rubber and plastics, are still in critically short supply, Toyota's President Akio Toyoda said April 22. The carmaker will report fourth-quarter earnings on May 11. Japan's automakers also face possible blackouts after the natural disasters reduced the nation's power-generating capacity by 8 percent. The carmakers are considering electricity-saving options such as shutting plants and offices for two days a week and shifting work to weekends to conserve power. The natural disaster has had little impact on Honda's operations in China, the world's biggest auto market, where no production halts are planned until the end of May at the earliest, Seiji Kuraishi, the company's president for China, said at the Shanghai auto show last week. Honda hasn't revised its full-year China sales forecast of 730,000 vehicles, Kuraishi said. Even if parts shortages reduce the supply of vehicles, it can be made up for in the second half of the year, he said. The carmaker boosted output in China 12 percent last month to 73,032 vehicles.